Casual observation often misses the natural detail in a scene. Most of us are guilty of walking past the fascinating detail and seeing only the bigger picture. Getting closer to the riches. These are the opening words to a sequence from the second presentation in my Hebridean Trilogy, entitled “The Island Dream”. And how true they are. I am sure we have all been guilty of overlooking the finer natural detail, spread out as it is, all around us. 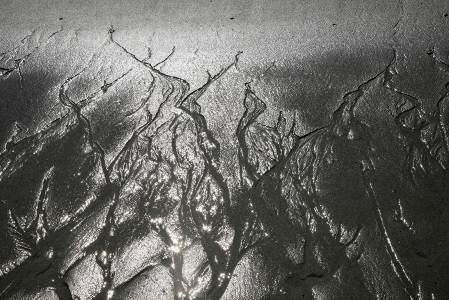 Patterns left by the falling tide, as the sea, sand and peat mingle on a Hebridean Island. I am often on my knees, on a beach, photographing the wonders to be seen up close. 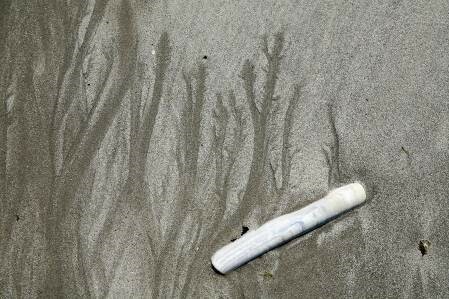 Whether they be patterns left by the falling tide, as the sea and the sand and the peat mingle together, or broken shells who have ended thier life by being smashed in the endless surf. You don’t need specialist equipment or Macro lenses to capture this natural detail. Most cameras have a close up feature incorporated which adjusts the camera’s settings accordingly. With your feet and legs set firm in the sand, and holding the camera tightly, you can almost replicate a tripod. This ensures images are sharp and in focus where they have to be. 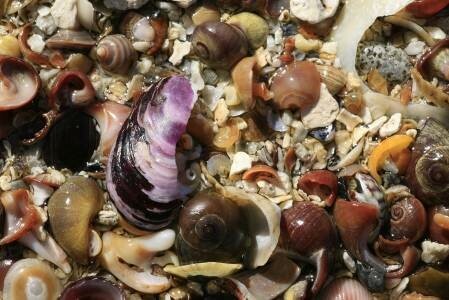 Shells which ended their life smashed in the endless surf. You may also need to consider lighting. We photographers often keep the sun behind us. When crouched on the beach your subject could be in deep shade. This is tasking the camera too far. Perhaps a bright but overcast day would be better, avoiding strong directional light which may cause camera sensors to work overtime. A quiet beach in the right light can be a wondrous place. 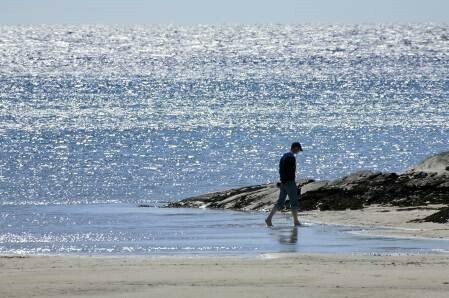 Try mooching along the sand, being careful not to leave footprints where you may later wish to photograph. No need to rush either, enjoy the rare moment. 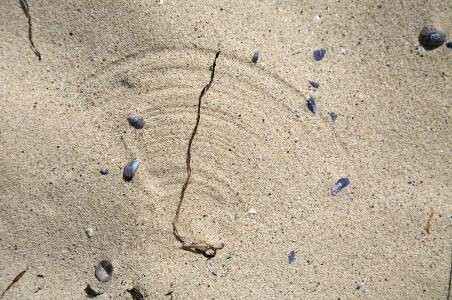 With feet and legs set firm in the sand you can almost replicate a tripod for your natural detail shot. I recall a visit to Harris, in the Outer Hebrides. One beach offered me countless opportunities to photograph the finer points of natural detail. I must have spent several hours, in glorious warm sunshine, ambling along the shore line. I can’t recall now how many images I got. It must have been several dozen. With digital, if the shot doesn’t work for you, at least you can delete it later. In the days of colour transparencies, you couldn’t delete them and each shot had a cost attached. Even then you couldn’t see how it had come out! So my advice is to find a suitable beach and “work it” hard, but in a relaxed fashion. Enjoy both the atmosphere and the images you find. Find a suitable beach and “work it” hard. The natural detail is all around. Photography should be fun and not a chore. I used to be most concerned if, after 3 or 4 weeks shooting in the Hebrides, I came home with very few images. Nowadays it doesn’t bother me so much, as I have revelled in the hidden beauty of the wonderful Hebridean Islands.